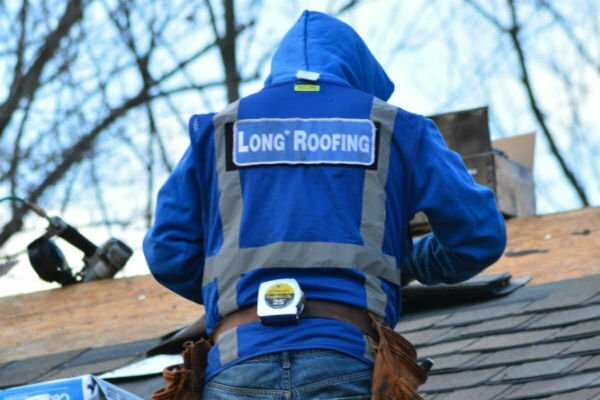 Long Roofing has established a strong presence in the Washington, D.C., Maryland, West Virginia and Northern Virginia markets. The success led to a 2016 expansion into Virginia’s Richmond region. The company has now moved further north into the New England roofing territories. Long Roofing holds SELECT ShingleMaster certification from respected roofing product manufacturer CertainTeed. This accreditation is earned by just one percent of roofers nationally. The company is also a North American leader in SureStart PLUS 50-year warranties, guaranteeing peace of mind to every customer with an Integrity Roof System. Long Fence and Home, the parent company of Long Roofing, carries a 4.6 out of five rating on GuildQuality.com, a number based on over 4,000 unfiltered reviews from customers across the Mid-Atlantic region. The aggressive expansion and strong pedigree now gives Long Roofing a chance to serve millions of additional homeowners. It’s also a way to bring a level of professionalism and clarity to an industry not known for either. So where did this company come from? The Long name has been recognized as one of the top providers of home improvement services in Washington, D.C., Maryland and Northern Virginia for over 70 years. Long Roofing was formed in 2013 and is an offshoot of Long Fence and Home. Long Fence and Home, a standalone company since 1996, was originally a division of Long Fence. In 1945, Long Fence was formed in northeast Washington, D.C. The company was originally known as Long’s Fence Co. until Robert Long — son of the company founder, Henry “Tots” Long — purchased the business in 1960. Robert Long served in the U.S. Merchant Marines until 1948. He still played a key role in the formation of the original Long’s Fence Co. by sending home his service pay to help support the family venture. The business he found when he finally returned to Washington, D.C. was modest at best. The small fence company’s headquarters was a decommissioned bus parked in a rented lot at the corner of 18th Street and Rhode Island Street NE. Robert was ambitious and driven. His desire to build something bigger was recognized by Henry, who agreed to sell his son the company in 1960 rather than risk losing Robert to a venture of his own. Henry knew that Robert had the tenacity and drive to succeed in anything he chose to do. This was a savvy move for both men. Under Robert’s leadership, the newly-renamed Long Fence grew by 10 to 15 percent annually for nearly 35 consecutive years. Long Fence turned in $350,000 in sales in Robert’s first year. He quickly transformed the family business into a thriving, multimillion-dollar operation. Long Fence was soon known and trusted by homeowners across Maryland, Northern Virginia and the nation’s capital. “We’re a household name in D.C.,” says John DePaola, CEO of Long Fence and Home. He points out that, after 70 years and a series of successful experiments and ventures, the Long brand has — at one time or another — expanded into almost every part of the home. That growth was helped by the fact that people in the Washington, D.C. metro area trust the Long name. John began his career with Long Fence 30 years ago as the manager of the ornamental iron division. He later moved into the installation department, took over as general manager of automatic gate openers and — by 1994 — became vice president of business development. Robert and John saw the opportunity for something new. With nearly 50 years of brand equity built as a fence company, the decision was made to establish a home products division and the first new Long brand, Long Windows. In 1994, the home products division — which John now ran as vice president — was named Long Fence and Home. This home products experiment was deemed a big enough success that, within two years, it split into its own separate company. Five years later, another new brand — Long Kitchens — debuted. More new brands — Long Doors, Long Siding, Long Baths and, eventually, Long Roofing — followed. “We have so much fun with this!” John says. “Everyone works hard to get all the kinks out of the process. We really strive hard so that what could be a nightmare project is actually enjoyable for the customer. Our team is perfecting the sales process, the delivery and fulfillment and the customer service processes. Long Fence and Home still provides outstanding home improvement services throughout Maryland, Washington, D.C. and Virginia. The company is emphasizing the expansion of its roofing business after identifying an opportunity in the field for trustworthy and professional roofers. “Over the years, we could see that roofing was just different,” John says. “There was tremendous need by homeowners. The gap between the level of professionalism was so big that Long Roofing just stood out. We could see the clear need that told us to focus in this area to be the best we could be. All we had to do was listen to our customers, they would tell us what they wanted. Jill Long DePaola, the executive officer of Long Fence and Home, has personally experienced — and driven — these changes in the family business. She grew up watching her father, Robert, and Long Fence grow and succeed. She’s also helped spearhead financial and marketing initiatives as a Long Fence and Home executive that have allowed the company to establish its own identity. Jill has seen the changes. She’s experienced the roller coaster of building new brands. The company has taken risks and won some battles — but she still thinks the most interesting developments are yet to come. We are the roof replacement experts. If you need a new roof, contact us today. We bring quality, honesty and professionalism (along with a 50-year warranty) to your roof replacement project. We build trust and peace of mind into every Long Roofing roof. Let’s talk.